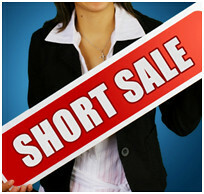 When purchasing a short sale, isn’t the title free and clear? Could liens present a problem? Oh, boy the questions you think and maybe don’t ask!! The answers to any of your questions can be Yes, or Yes, or No!! So how do I know?? Unless you are sitting in the home you just purchased on a short sale, then you still have time to question and understand. You the purchaser are not responsible for any lien on the home. The owner is still the responsible party for any debt or obligations on the home. Sometimes these “obligations” can become deal breakers in a short sale, especially if the owner is financially strapped or the lender is unwilling to assist. If you were to close on a short sale and these “obligations” were NOT satisfied, then you would most likely be held accountable for such. These could include property tax liens, IRS liens, contractor liens, second mortgages, or even homeowner’s association liens. You must remember that a short sale is NOT a foreclosure. In a foreclosure, most of these items would or could possibly be wiped clean. Not so in a short sale. These items must be satisfied in some way or another, this could mean some hefty negotiating. So, as you can see this doesn’t mean title is free and clear, you need to do your homework and have open communication with the title company. Once an approval is completed, ask for a title commitment, complete your due diligence, and ask questions if you do not understand something. You may need to assist your seller in a negotiation, you never know. Be patient, short sales tend to suffer failure rates and sometimes just simply can’t close in time to prevent foreclosure. A persistent lien holder can play a key role in delaying the closing of a short sale. If all parties are willing to be a part of the process then you can come out “free and clear”! Posted on November 30, 2012, in Title and tagged Buy a Home, Contractor Liens, Debt, Foreclosure, Fort Myers, Free and Clear, Homeowner's Association Liens, IRS Liens, Jennifer Ferri, Lien, Property Guiding, Property Taxes, Purchaser, Second Mortgages, Seller, Short Sale, Short Sale Approval, SWFL Real Estate, Title Commitment, Title Insurance, Title Junction, Title Work. Bookmark the permalink. Leave a comment.